1. Solar Panel: Polycrystal Solar Panel.(2V/60mA). Battery: 1pcs 1.2V/600mAH Ni-MH battery. 3. Long Lighting Time: More than 8 hours lighting time on a full charge. 4. Waterproof from rain and snow, perfect for Path Patio Deck Driveway Garden Christmas Party Wedding Decor. 5. With 3 LEDs, Beautiful and Romantic. Simple and easy to Install and Use, On/Off Switch. Note:Please Turn the swicth on before using it. 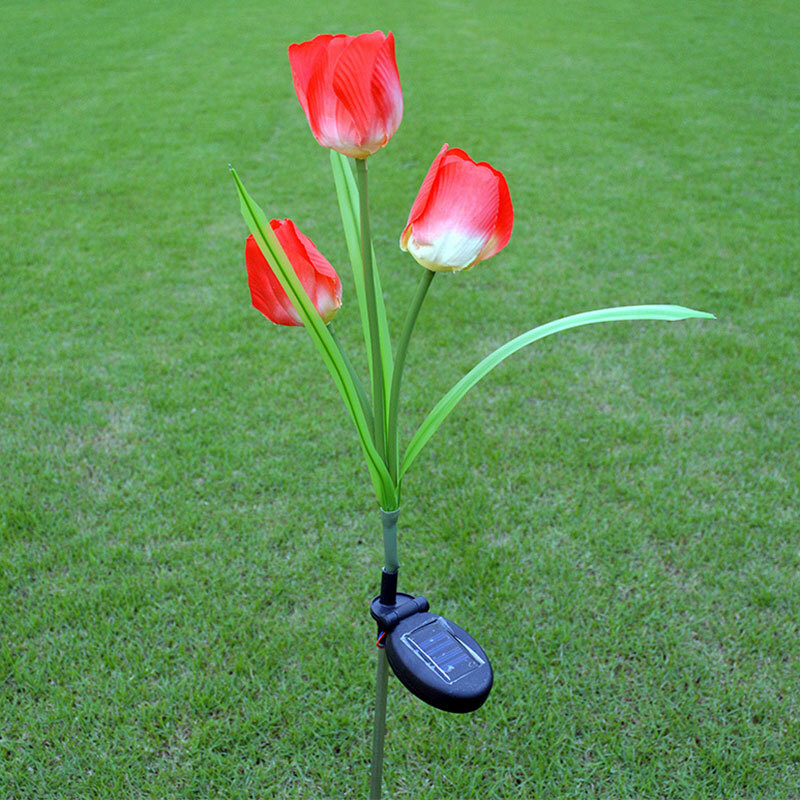 This solar light with 3 Tulip Flower Shaped LEDs. 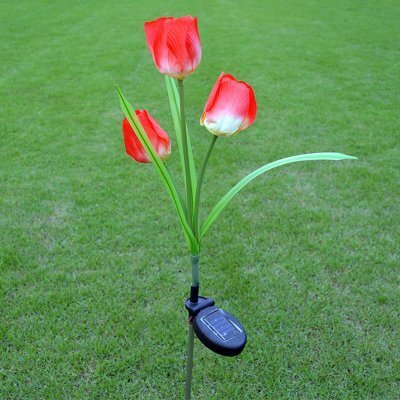 A beautiful artificial flower light which is ideal for decorating your garden, lawn, balcony, patio, or path etc. Lifelike and elegant, you exactly can¡¯t imagine how wonderful this lamp is if there is one or more in your garden! More than 8 hours lighting time on a full charge. Light turns on automatically when it’s dark with manual on/off switch.